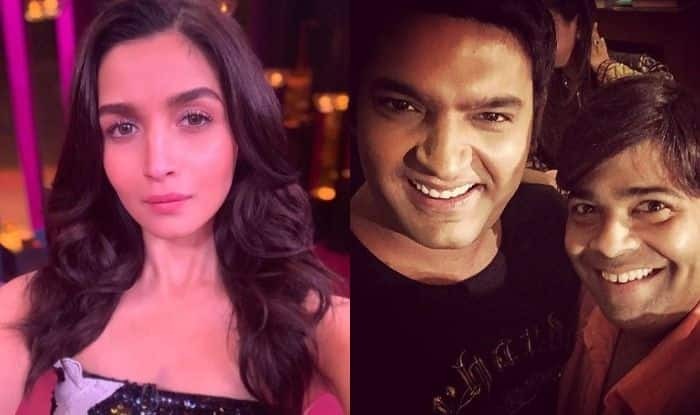 Kiku Sharda opens up on Alia Bhatt getting offended at his joke on Kapil Sharma's show. Alia Bhatt is currently busy promoting her film Kalank which will release in seven days. The actor along with her film’s co-stars – Varun Dhawan, Madhuri Dixit Nene, Sonakshi Sinha, Aditya Roy Kapur, and Sanjay Dutt are leaving no stones unturned in promoting Kalank. Alia has made it to every promotion while the others could not make it to all. Recently, Alia, along with Sonakshi, Varun, and Aditya promoted their film on Kapil Sharma’s show. After appearing on the show, reports suggested that Alia got offended at a joke of Kiku Sharda. Kiku recently clarified and said that it is not true and that Alia enjoyed a lot on the show. Clarifying the rumours, Kiku told Pinkvilla, “This is just a rumour. She has enjoyed a lot on the show. I have no idea how this rumour started, but if you watch the episode, you will see how much she has enjoyed on the show’. He further added, “Alia is a very sporting person and has laughed a lot on the show”. Apparently, Kiku asked Alia, ‘How does a scooter start?’ and then replied himself by saying ‘Bhatt, Bhatt, Bhatt….’ Not just this, she reportedly got offended at another joke where Kiku had asked Alia if her father Mahesh Bhatt is into the construction business. Alia said ‘no’ to which he replied saying, “Then why did he make movies like Footpath and Sadak”. On the professional front, Alia is all set to release her film Kalank which is a period drama set in the 1940s. The team even traveled to Kargil to shoot a few scenes. Directed by Abhishek Varman, produced by Karan Johar, Sajid Nadiadwala, Hiroo Yash Johar, and Apoorva Mehta, and co-produced by Fox star studios, the film is slated to release on April 17.